Based in New York, Proactive Medical is focused on customer satisfaction. They have a large network of contacts worldwide allowing them to make innovative products that fit the needs of their clients. They manufacture products for support surface pressure redistribution, patient monitoring and fall prevention/protection products. Their fundamental philosophy is in their name. Being Proactive is the way to prevent problems in the future. They make products to let caregivers and patients be proactive. They help patients and caregivers manage conditions before they become problems and being prepared for what might go wrong. Proactivity is the way they run their business too. They build up their business partners and help them succeed in every way they can. All of this creates more value for our clients. We carry a large line of pressure redistribution mattresses and cushions from Proactive Medical for a variety of purposes, sizes and functionalities. They are used to prevent and treat bed sores and pressure ulcers. These are economical and have different features that can benefit a wide range of patients. All of the mattresses are made to redistribute weight at different capacities but some are designed to provide more pressure relief at the heels, dissipate heat quickly or are specifically designed mattresses for bariatric patients. All of the mattresses alternate which channels are filled with air so any area of the body is not exposed to constant pressure. 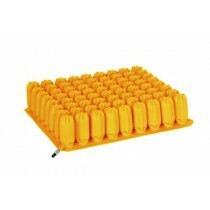 These air mattresses come in a variety of functionalities and can accommodate a wide range of patient needs. 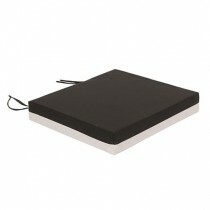 They are all designed to treat bed sores and pressure ulcers and maximize patient comfort. There are economical options, like the overlays, and complete systems with low air loss like this Lateral Rotation mattress. Protekt Aire mattresses are easy to operate and are economical.